This Conference is put on in Moscow, ID. 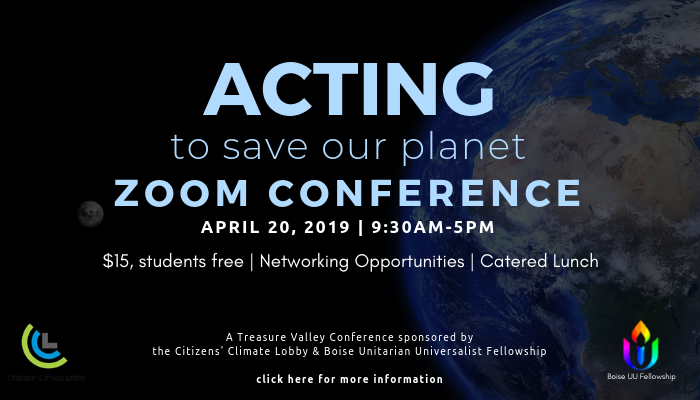 We will be utilizing Zoom (a video calling software) to broadcast this interactive conference at Boise UU. Register through Climate Change Lobby here.